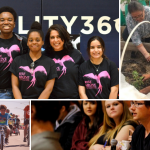 Arizona Humanities, a statewide nonprofit that supports public humanities programs across Arizona awarded fourteen fall Project Grants totaling $83,348.72. Read below for more information about each grant. 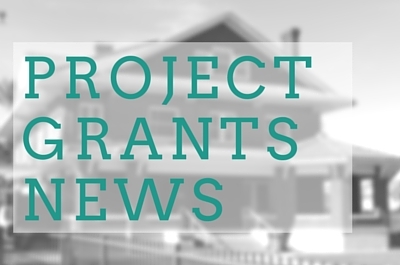 Project Grants are awarded twice a year and organizations can receive up to $10,000 for a humanities project. The next Project Grants Intent to Apply deadline is November 1, 2016. 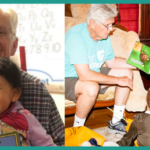 Organizations interested in learning more about grant opportunities can visit the Arizona Humanities website at azhumanities.org or call 602-257-0335. This project consists of an exhibition of selected works of local artist Beth Ames Swartz and a series of public programs. The focus of the project will be the ways that art can bring people of different races, religions, and cultures together, and how art and artists can help in the human project of “repairing the world.” This concept, derived from the Jewish tradition of Tikkun Olam, states that human beings are tasked with the work of finishing the work of G-d’s creation, through good deeds, ethical behavior, and appreciation of our common humanity. The exhibition and associated programs will be held at the Cutler-Plotkin Jewish Heritage Center,122 E. Culver Street in Phoenix. Originally the home of Phoenix’s first synagogue, this building later served as a Chinese-speaking and Spanish-speaking Christian church, and serves as an ideal location to promote multi-cultural and interfaith dialogue. Trains of Tempe features a multifaceted look at train history in the region with the themes of transportation and transformation within our community. A 1,200 square foot featured exhibit, “Trains of Tempe” will form the basis of the project and additional programming will add opportunities for engagement during the course of the exhibition. Several panel exhibitions in the museum’s Community Room and a series of free public programs on the topic for both adults and children will expand the access to knowledge about transportation history. The Trains of Tempe exhibit and programs will be hosted at Tempe History Museum from November 2016 through September 2017. Voices and Visions Across the Borderlands: Festival of the Arts, History and Culture brings together and bridges the peoples and cultures across the borderlands of Arizona and Mexico, to open eyes, hearts, and minds about who we are, how we live, and the ways we communicate our deep emotions and insights. Four days of interactive forums, concerts, discussion, art exhibits, history tours and lectures create a bi-national “show and tell” that captures an intricate tapestry of language, life and human legacies at this unbounded interface of adaptability and change. The festival is free and open to the public, November 2-6, 2016. Humanities, Media and Mass Incarceration Project seeks to bring together local humanities practitioners with organizations working on criminal justice issues for community-centered storytelling workshops and public presentations. 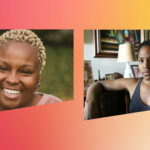 The project focuses on the effects of incarceration on individuals, families and communities as a way to ask questions about how conversations can transform society toward progressive change. Part of the project seeks to answer: What should the role of the Humanities be in engaging issues of democracy, justice and equality? Rolling Reels: Bringing Movies to You, a project of The Loft Cinema, is a community-building program that takes carefully curated family-friendly films for free screenings in underserved rural areas, providing a unique cultural experience. The movies will travel across Southern Arizona in a van outfitted with solar panels that will power a 20-foot inflatable screen and state-of-the-art mobile projection system. Scholars will lead an interactive intergenerational community dialogue at each film to provide context for social, cultural and political issues, a shared sense of purpose and a new way of watching and appreciating film. Rolling Reels will explore the relationship between film and rural life, cultural identity, Native Peoples, history of West and contemporary Western culture. Arizona Humanities is proud to support the Heritage Insights Lecture Series, an integral program of the 13th Annual Celebraciones de la Gente festival October 22 and 23, 2016 at the Museum of Northern Arizona (MNA). 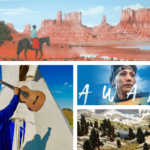 MNA will continue its institutional initiative of celebrating the cultural diversity of the Colorado Plateau through humanities-based lectures, discussions and presentations that highlight and explore the Mexican, Mexican-American and Latino experience of the region and beyond. These humanities-based topics will engage audiences through discussion, learning and reflection which encourage historical, cultural and artistic appreciation by festival attendees. Arizona Humanities funding will be used to develop Mining Uranium Memories, a public exhibit and presentation that will look at the human side of northern Arizona’s uranium mining legacy. The exhibit work will be displayed side by side with Trauma and Hope in a Poisoned Land, a fall 2017 art exhibit on uranium mining that will presented by the Flagstaff Arts Council at the Coconino Center for the Arts. Mining Uranium Memories will be a history- and personal experience-based look at how residents of affected communities have dealt with—and continue to deal with—this issue. Its core will be a collection of community-level oral history interviews, historic photos, and documentary research. Phoenix Theatre will collaborate with Black Theatre Troupe to present the musical, The Scottsboro Boys, in Phoenix Theatre’s Hormel Theatre April 5-23, 2017. Twenty-four post-show discussions and three community panels will be held during the run of the production, referencing the controversial story of nine black teenagers from Alabama, who in 1931 were sentenced for a crime they didn’t commit. Each community panel will present a different theme and present a safe environment in which to generate conversation around the present state of our society, offer the opportunity to share stories, experiences, allow questions to be asked, and answers to be pondered. In 1966, Duke Ellington and his band brought their nondenominational sacred music jazz concerts to Trinity Episcopal Cathedral in downtown Phoenix. On the concert’s 50th anniversary, the Phoenix Chorale, in partnership with Arizona State University, Mesa Community College Big Band, The Nash, and Trinity Episcopal Cathedral, will re-create this musical experience for the Valley. The project will examine life and society in Phoenix from the 1960s to the present, realized through a series of lectures focusing on the intersection of Jazz, Jazz Dance, and sacred music – bringing a once-forgotten story to life. TigerMountain Foundation (TMF) will feature an on-going Cultural Diversity concept called Community Building through Community Gardening series that features storytelling, the arts and experiential learning through the TMF Experience. TMF seeks to unite people throughout different backgrounds and bring them into a setting where they can learn, build and share success with one another. The fruits of harvest are not only evident in the produce grown together but also in the relationships and partnerships that abound as a result of this shared experience. Programs will be held every 2nd and 4th Saturday at one of the TigerMountain Foundation garden locations. Veterans Heritage Project (VHP) has worked with 300 middle school, high school and college students to document and publish 225+ veteran oral histories in five regional editions of the student publication, Since You Asked Volume XIII. Arizona Humanities will support VHP’s largest community forum to include filming six veteran lectures and prepare an edited video for presentation at five of VHP’s regional community forums. This video will preserve the lectures, make them available at locations where a veteran is unable to travel, and create teacher resources to supplement history curriculums. The documentary film project, Voices of Vail, began as a way to record oral histories, but has evolved into a platform to educate residents about Vail’s history, its landscape and culture groups who are part of its story. Arizona Humanities will support the completion of the documentary which will be followed by a public presentation of the film and community conversation discussing what constitutes a community, what are its responsibilities, and how do we acknowledge difficult stories that have been ignored. The public conversation will be a safe place to link Vail’s past, present and future by discussing the political and social issues confronting Vail today and what the role of silent local history has on a growing community and how it can be significant to its future. A 4-part interactive lecture program will complement Western National Parks Association’s (WNPA) ongoing celebration of the National Park Service’s 100 year anniversary. 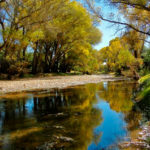 The Find Your Park Centennial Series will explore America’s unique national parks through discussions about southwest history, ecology, environment, and heritage foods. Speakers include authors Megan Kimble, Melissa Sevigny, Gregory McNamee, Jane Eppinga, and wildlife biologist, Jessica Lamberton-Moreno. These individuals will examine the stories of Arizona’s parks and demonstrate their relevance to today’s urban population. The series will take place at WNPA’s National Park Store in Tucson and will leverage national efforts to mark the Centennial of the NPS. In fall 2016 the YWCA’s House of Neighborly Service will transform its traditional K-5 after school program, La Escuelita into a K-5 literacy and prevention theater arts program, La Escuelita De Teatro. Partnering with scholar Elena Diaz Bjorkquist, students will learn how to collect stories of migration from their families and will support students write scripts from the collected stories. Performances will take place at the beloved South Tucson Community center, The House of Neighborly Service. Through this program students will be introduced to the art of oral history and theater, while celebrating the traditions of their community, and actively engaging in the following literacy skills: writing and reading scripts, learning new vocabulary, practicing English fluency, and public speaking.